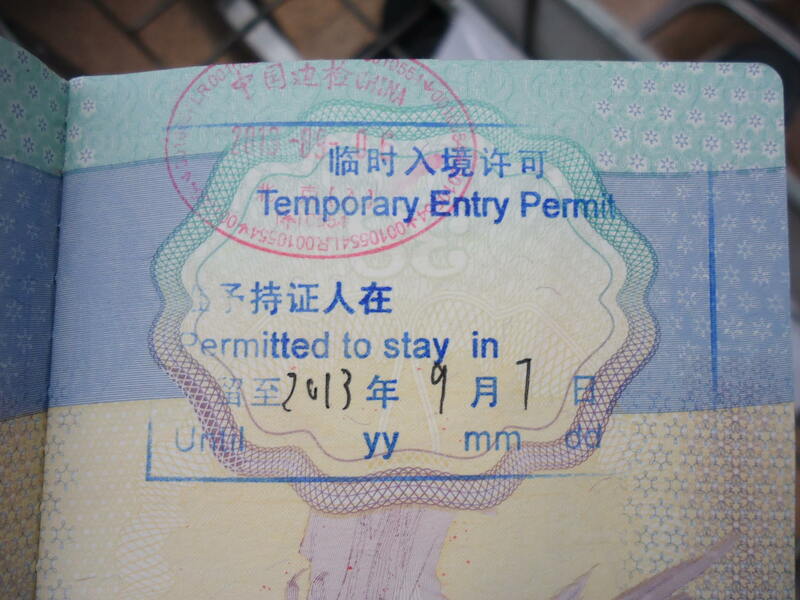 A Temporary Entry Permit for China at Beijing Airport. 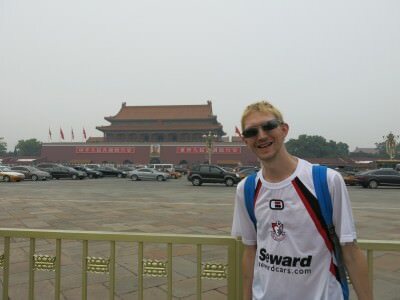 I’ve now been to China officially 18 times, and it was only recently on my 17th visit that I decided to travel without a visa in advance and check out the system for getting a visa on arrival. 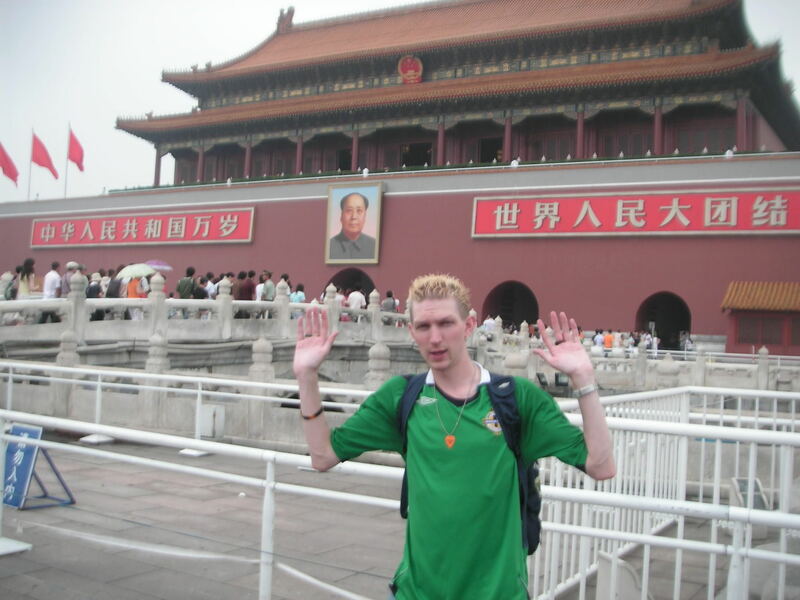 My first trip to China in 2007 was to Beijing and I had my visa in advance. In those days you had to do that. These days you can now get a 72 hour visa at Beijing Airport. The same thing applies to Guangzhou and Shanghai by the way, But I flew from Hong Kong to China. You can also read my post for advice on getting a China Visa in Hong Kong. Backpacking in places like Beijing, Guangzhou and Shanghai just got easier – with 72 hour visa on arrivals. 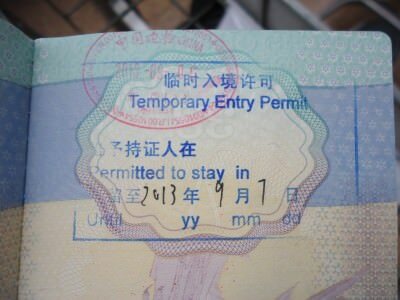 What do you need to get a 72 Hour Visa at Beijing Airport, China? You will need to have proof that you only intend to spend 72 hours or less there – print out your connecting flight details (in my case I was heading to Pyongyang the next day). You will also need to be from one of the nationalities on the list that is eligible. You will then simply need your passport, boarding card and a filled in Arrival Form. It’s all a lot more simple than you could ever believe. Dropping by Chairman Mao at Tiananmen Square, Beijing, China. What Countries Can Get a 72 Hour China Visa? Citizens from these places: Argentina, Austria, Australia, Belgium, Brazil, Brunei, Bulgaria, Canada, Chile, Cyprus, Czech Republic, Denmark, Estonia, Finland, France, Germany, Greece, Hungary, Iceland, Ireland, Italy, Japan, Latvia, Lithuania, Luxembourg, Malta, Mexico, Netherlands, New Zealand, Poland, Portugal, Qatar, Romania, Russia, Singapore, Slovakia, Slovenia, South Korea, Spain, Sweden, Switzerland, United Arab Emirates, Ukraine, United Kingdom, United States. At Beijing Airport where I first landed in China in 2007, now you don’t even need a visa in advance for 3 day trips! How much does a 72 Hour Visa at Beijing Airport, China cost? It’s free!! Amazing isn’t it? So if you’re heading to China on a short trip of less than 72 hours then don’t get a visa in advance, as long as you are landing by air in Beijing, or one of the other designated places for this. So far Chengdu, Guangzhou, Shanghai and Beijing are the only four cities where you can do this. Just to note, places like Zhuhai in China’s Guangdong Province also offer visas on arrival, but there’s a charge. This is also a photo of me at Tiananmen Square on my first visit to Beijing in 2007. What is a 72 Hour Visa for China? It’s exactly as you’d imagine. Once you get it. It’s known as a temporary entry permit rather than a visa, and instead of placing a visa on a full page in your passport you simply get a stamp that reads in English “Temporary Entry Permit”. You are free to go anywhere in China (not including Tibet, Hong Kong and Macau) on this visa as long as you leave within 3 days/72 hours. What Other Places in China Can You Get a 72 Hour Visa? Apparently these are now available in Chengdu, Beijing, Shanghai and Guangzhou, which is pretty handy. Are there any restrictions on the 72 Hour Visa? Yes, you cannot fly out of Beijing to the same airport you flew in from. I was going Hong Kong to Beijing to Pyongyang which is fine. If I had of been going Hong Kong to Beijing to Hong Kong then I wouldn’t have qualified for the 72 Hour Visa. You also must fly out of the same airport you flew into (i.e. into Beijing, out of Beijing). If you are keen to visit China, you will know how much I rave about it. 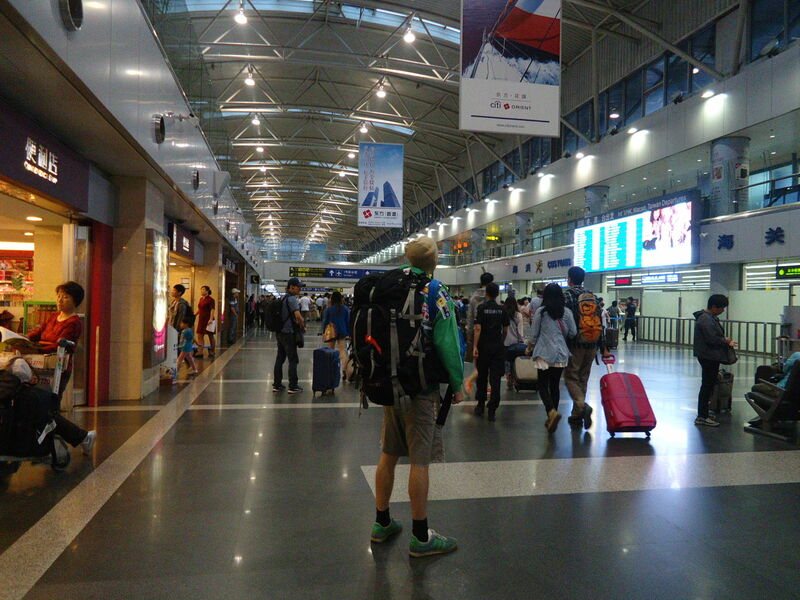 Have a check at my previous posts in my backpacking in China section. Any information not covered by me, I recommend checking out The China Gateway Company website – a great resource in English for the entire country. * This post is accurate at the time of writing (13th September 2013 but could change at any time – keep up to date with things and do also let me know if things change). 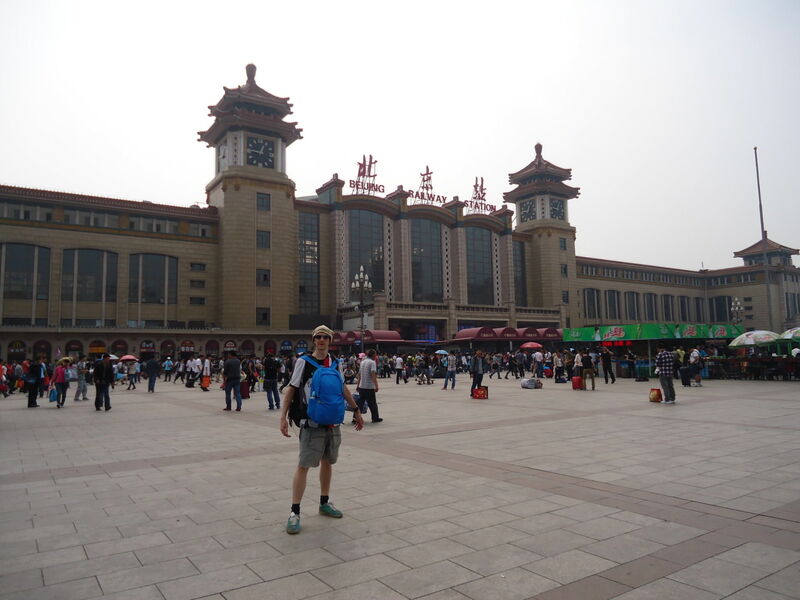 This entry was posted in Asia, Beijing, China, Destinations, Visas. Bookmark the permalink. ← Three Countries I Haven’t Really Been To! I have to have connecting flights with 72 hrs of each other correct. if they are say 74 hrs apart can I just stay in the airport for a few hours and then get it under 72 hrs?